This apartment was 2 bedrooms designed in 1 bedroom + 1 living room with open Kitchen. it is located on Xinzha Rd -- only 1 mins walk to the Xinzha rd station Line 1 and 12 mins walk to People's square Line 2/Line 10. 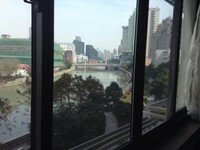 The big balcony & bedroom( + study ) both over looked the Suzhou Creek. New renovated open kitchen and bathroom. Great location and interior , it is good size apartment for an couple or 1 person to live. available now. To contact the landlord /mob: 131 2795 3748 (text message only) / WeChat: shanghaiware For the building itself, It's an old 80's apartment building. Location: Walk distance to people's square and west Nanjing rd , closed to the Bund. 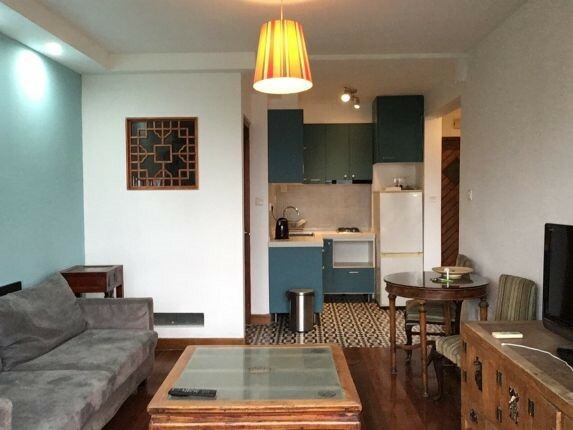 I'm interested in the property located in Huangpu District for 7800 RMB. Please contact me. Thank you.